Reassurance shield as the business loop rejoins and we head out of Lebanon. 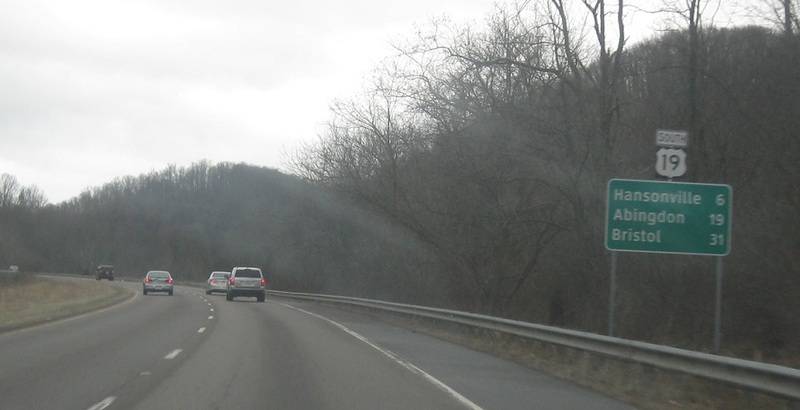 Turn left ahead for CR 657. 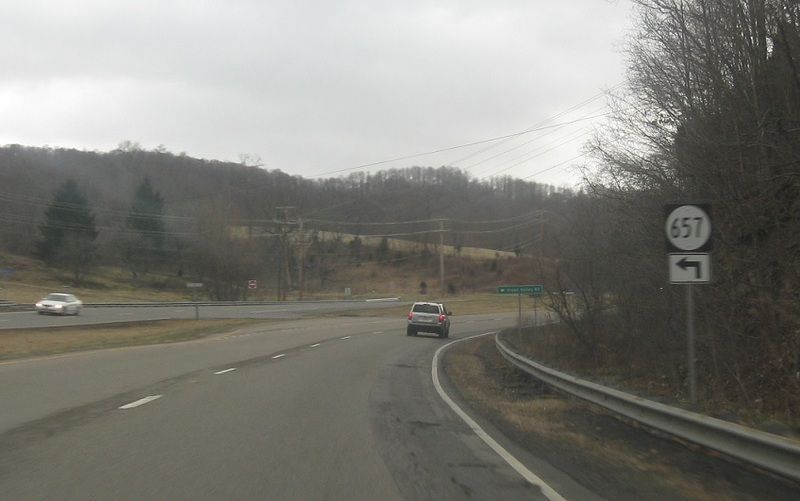 Turn right for SR 674. 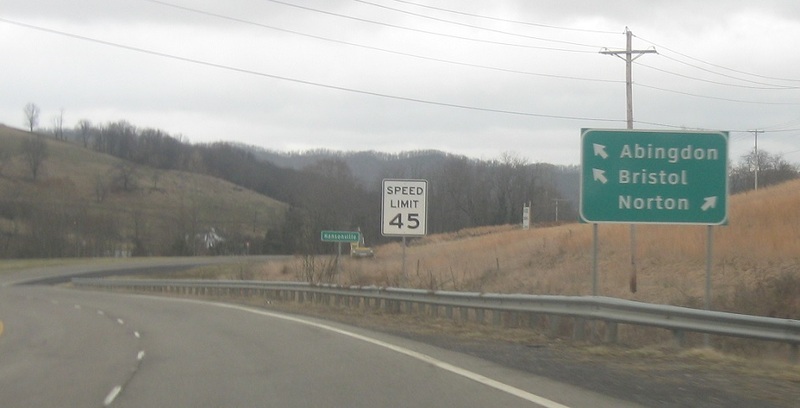 Turn right for SR 614. 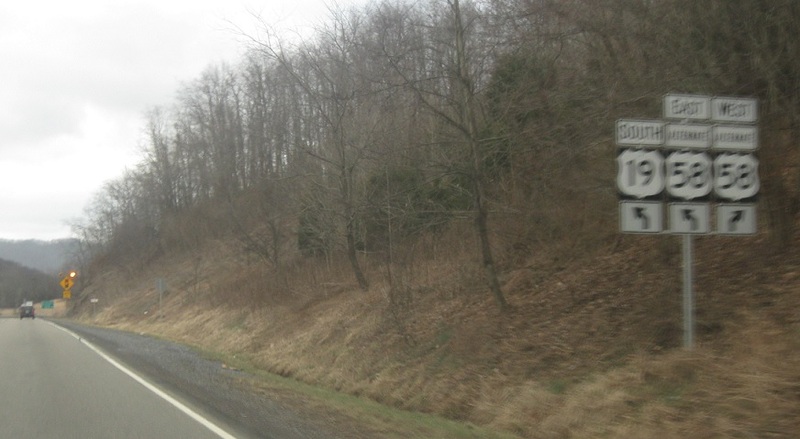 As we approach Alternate 58, turn left for SR 1060. 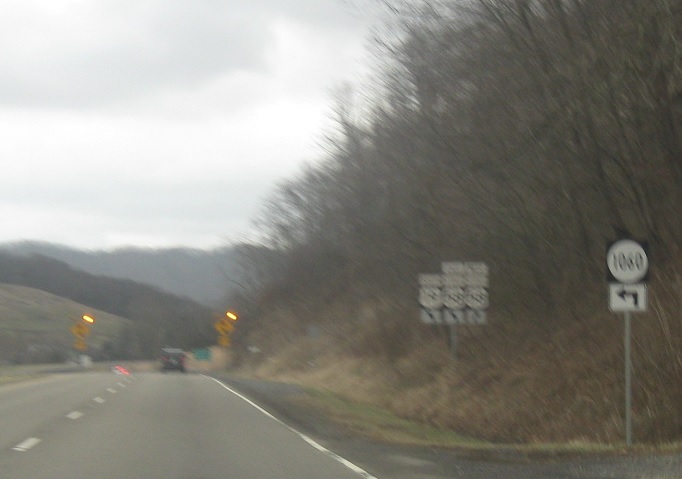 We’ll then approach Alternate 58, which is the old routing of US-58. Keep right for 58 Alt West. 58 Alt East joins 19 south. Follow 58 Alt West to Norton. 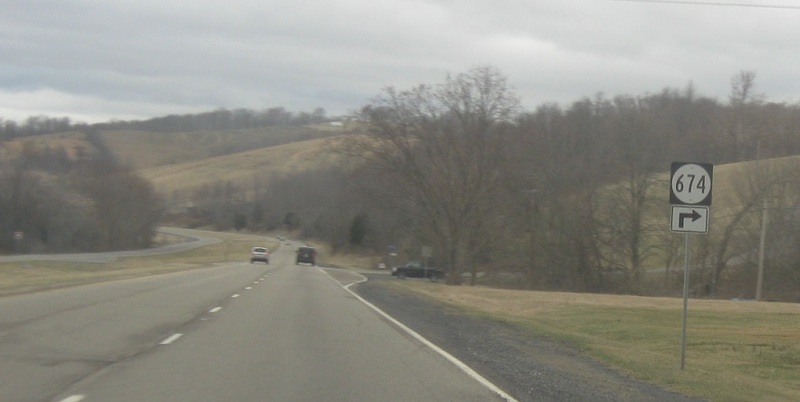 19 South and 58 Alt East head over the mountains to Abingdon. 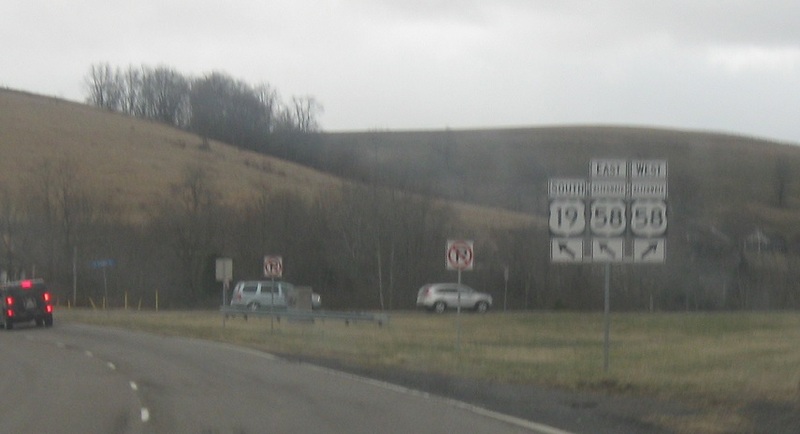 Turn right for 58 Alt West and left for 19 South/58 Alt East.